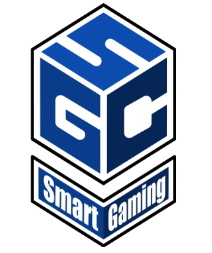 5 Recommendations for Quick Games – Smart Gaming Co.
August 21, 2017 August 8, 2018 Joshua S.
For those times you don’t have a lot of time to sit down and play a tabletop game or when you need a good filler game to play in between those hour long strategy games. It is great to have some micro sized game in your collection to scratch that gaming itch or to just clean your pallet. Here is a quick list to some games that we love to play! 1. Deck Building: the Deck Building Game by Dice Hate Me Games – Is a miniature sized deck building game, that successfully boils down traditional deck building games into a bite sized game. The game play ranges from 10-20 minutes and is very quick to learn. 2. Sushi Go! by Gamewright – is a wonderful pick and pass card game, where plays try to have the best sushi dinner. The game is played in three rounds and takes about 15 minutes per game. 3. Kingdomino by Blue Orange Games – A tile laying game where players build a kingdom using the different “domino” pieces to connect sections of the same terrain types to score points all within a 5×5 grid! This games playtime is about 15 minutes and has very simple rules. 4. Zombie Dice by Steve Jackson Games – Is a press your luck dice rolling game. Players try to roll 13 brains on the dice, before they take three shots. Play takes about 10 to 20 minutes, but can be done as fast as one turn. Rules take about 30 seconds to explain, but can give you hours of fun! 5. Love Letter by Alderac Entertainment Group – In Love Letter, players try to be the first ones to get their letter to the princess, this takes risk, deduction, and a little bit of luck. With only 16 cards in the deck, love letter packs a lot of fun into a very small package. Game play takes about 20 minutes. All 5 of these games play extremely differently, so everyone should be able to find at least one that might interest them. I would recommend all 5 of these games to almost anyone. Hope this helps you find your next addition to your gaming library!